Praveen's love affair with Kepler's began in 2002 when he started living in Menlo Park and found himself repeatedly drawn to browsing Kepler's well-stocked bookshelves and discovering many wonderful books. 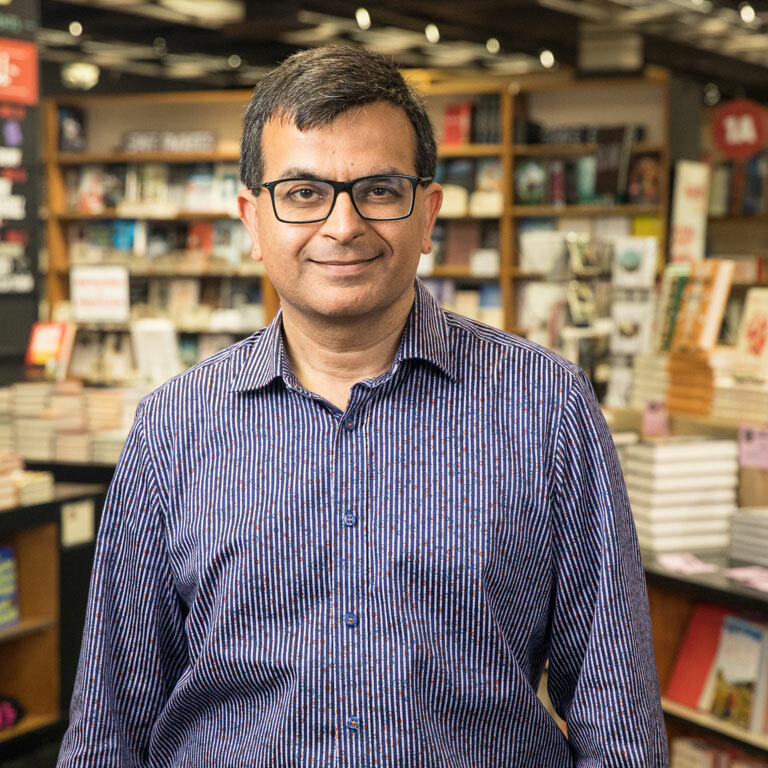 The community's efforts to save Kepler's in 2005 made a lasting impact on Praveen and two years later he found himself quitting his corporate job and teaming up with his wife Christin to acquire the Booksmith bookstore in 2007. Over the next few years Praveen and Christin transformed Booksmith into a award-winning literary destination. In July 2012 Praveen assumed stewardship of Kepler's with a new vision to turn it into a sustainable literary institution.